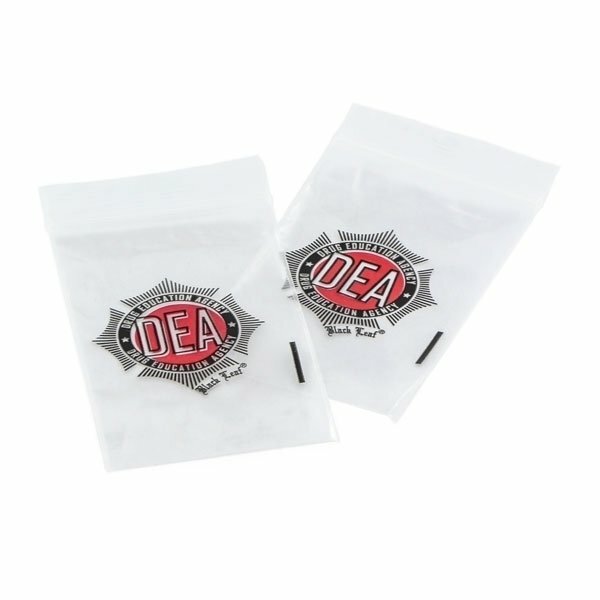 Zip lock bags with an imprint of the "DEA - Drug Education Agency" badge. Antitrust busted, product seized and packed for further use as training object for inexperienced stoners. Repetitive use of possible content very likely. Content: 200 bags. Size: 40mm x 60mm. Strength: 50µ.